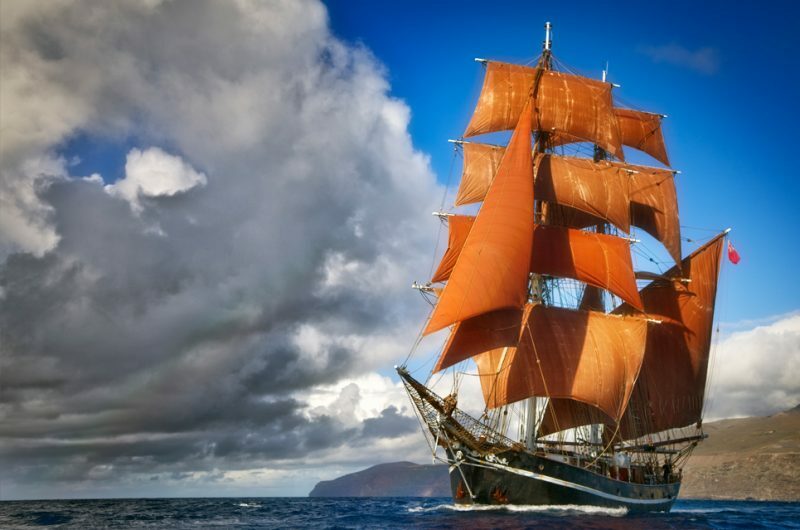 Eye of the Wind, originally called Friedrich, was built in 1911 in Germany for the South American hide trade. 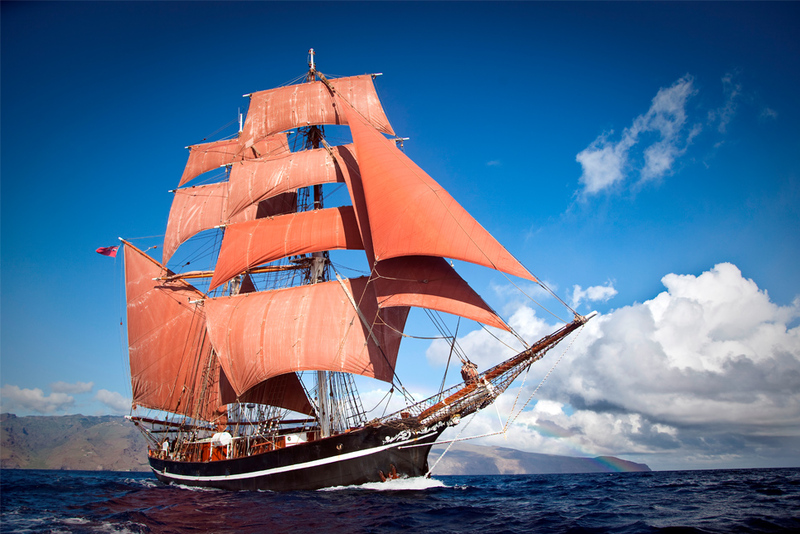 In 1923, she was sold to Sweden and carried general cargo under the name Merry. 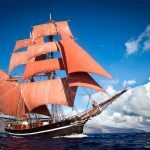 Three years later her first engine was installed and gradually her rig was reduced and altered to a ketch, but after a fire in 1969 when her wheel house and poop deck were destroyed, her old iron hull was sold to square rigger enthusiasts who began rebuilding her. 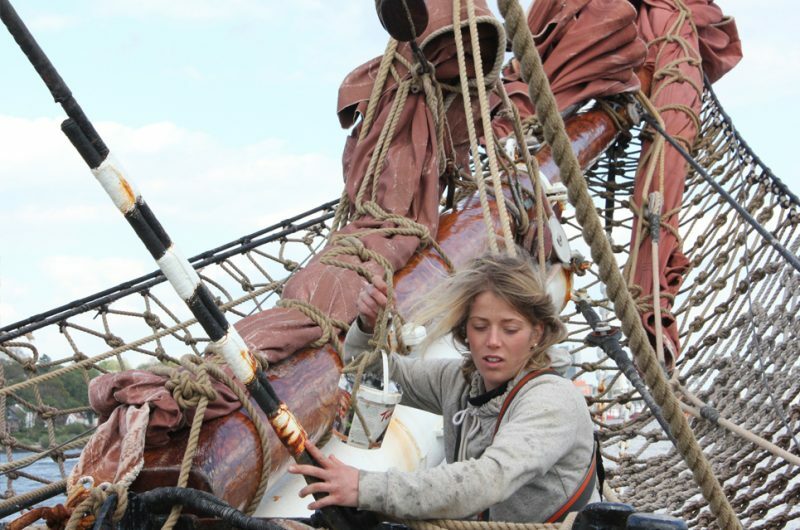 During the 1970s she was fitted out as a brigantine in Faversham, Kent and circumnavigated the globe as her first voyage as the Eye of the Wind. 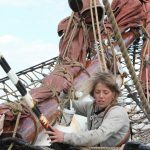 She has since appeared in many films including Blue Lagoon, Savage Islands, Taipan and as the ill-fated Albatross in White Squall. Eye of the Wind raced in all five races of Tall Ships 2000. 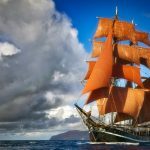 The Eye of the Wind is a more than 100-year-old sailing ship with a unique past. Hollywood stars and royal highnesses held her helm in their hands! 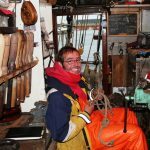 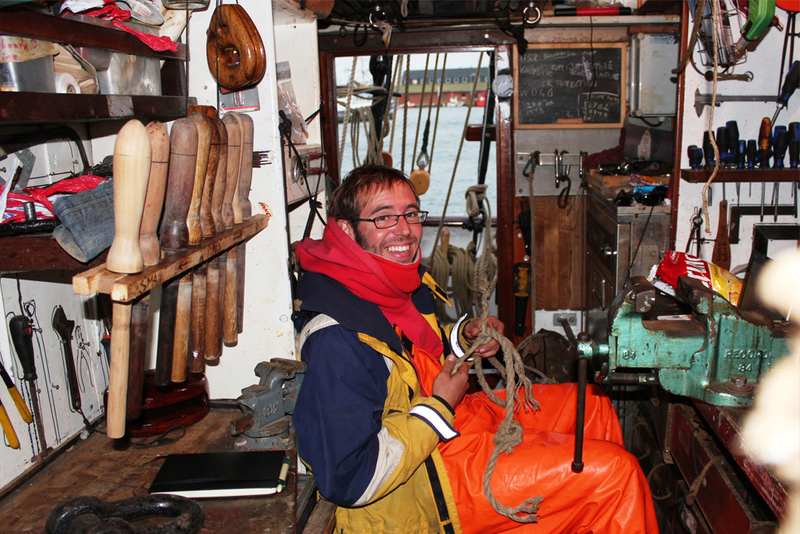 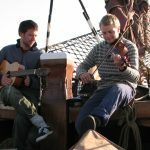 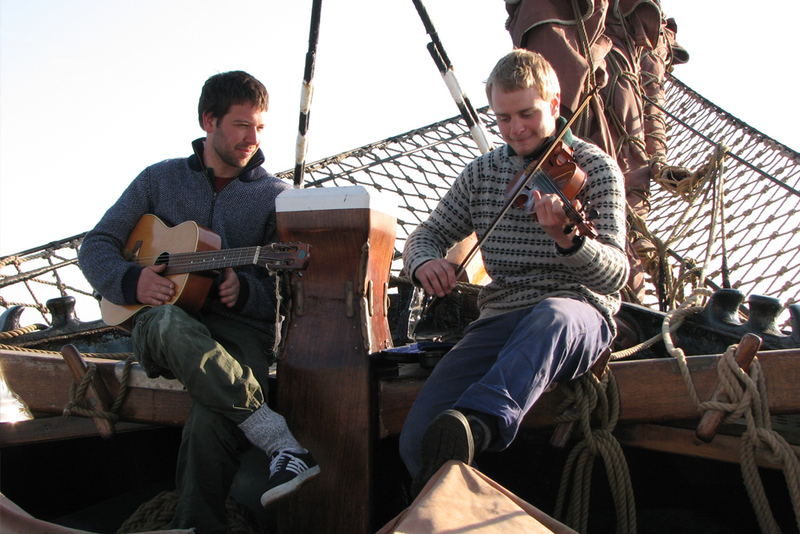 Today, the ship is operated by a young, friendly, and experienced international crew. 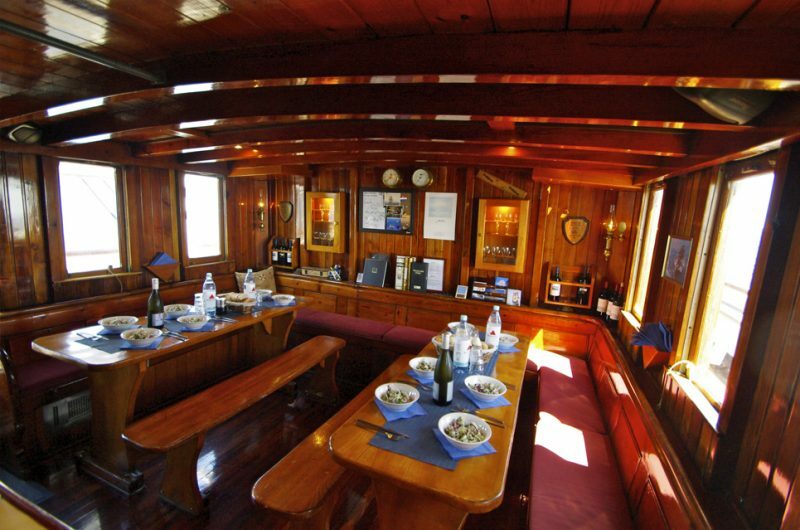 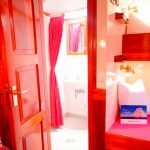 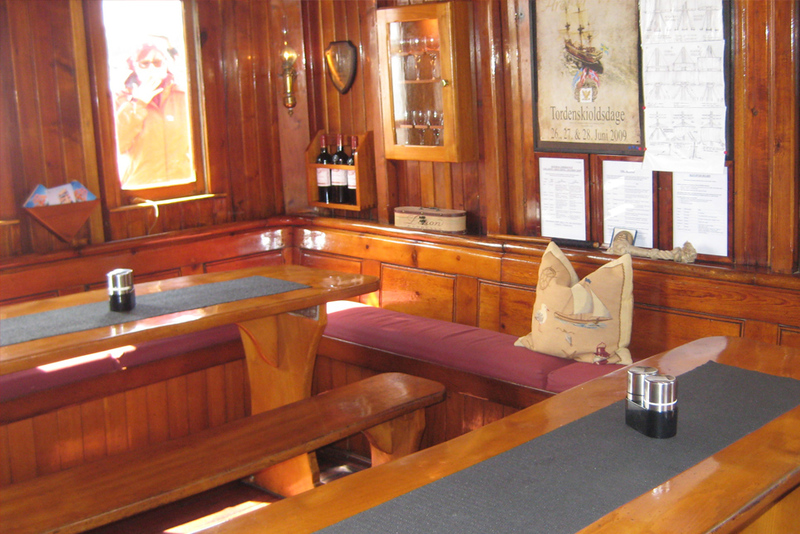 Our sailing areas are the North Sea, the Baltic Sea, the Mediterranean Sea, the North Atlantic, and the Caribbean Sea. 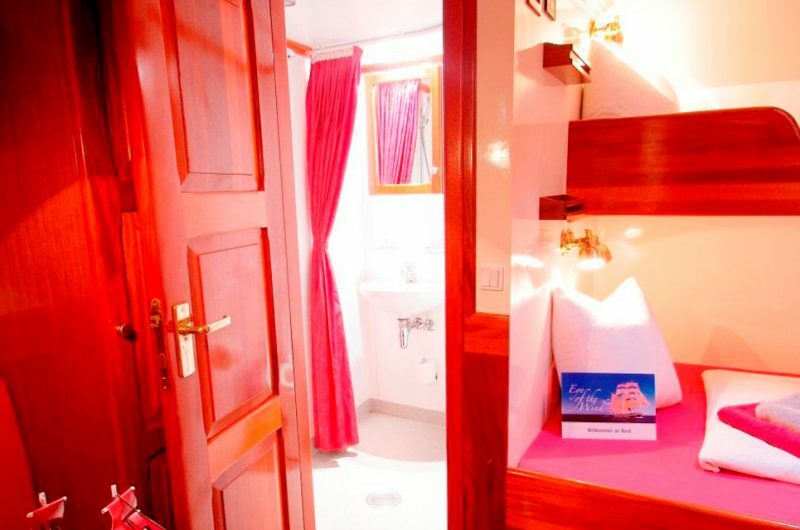 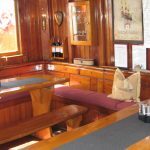 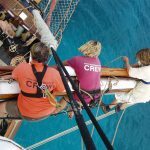 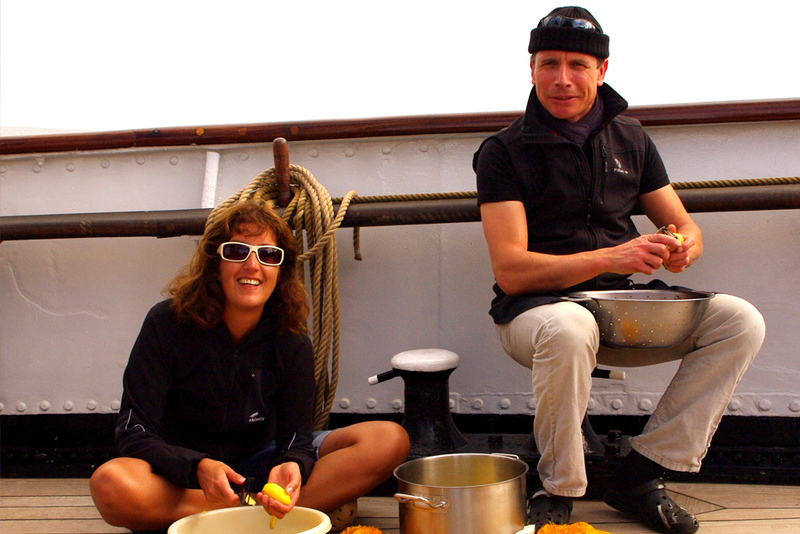 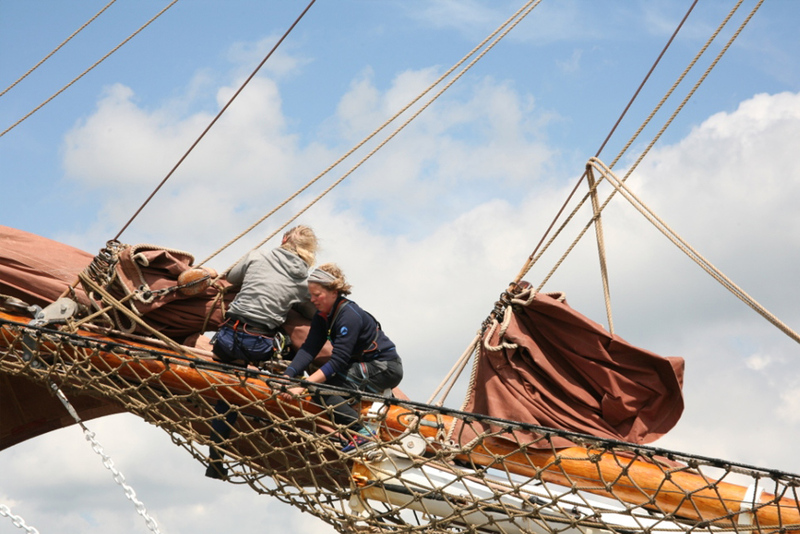 Previous sailing experience is not required in order to sail on our windjammer. Get on board and join our crew! 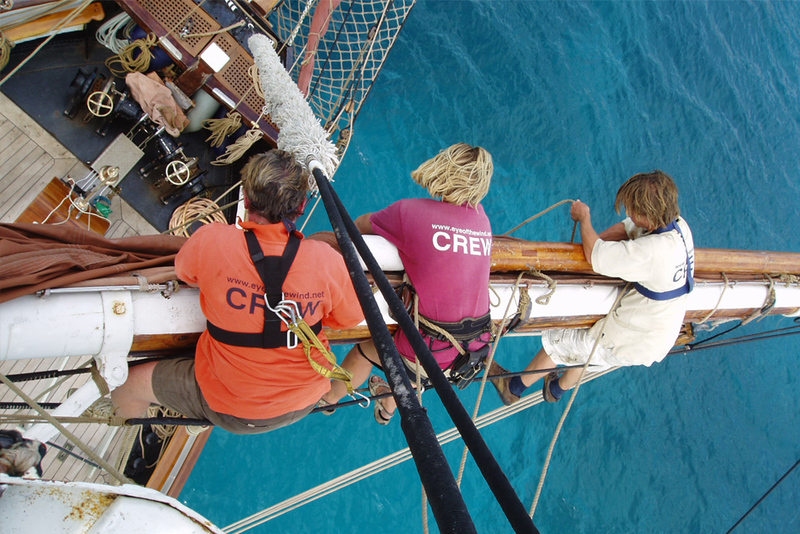 The sailors' work and trade as a traditional custom is practised aboard the Eye of the Wind on a daily basis. 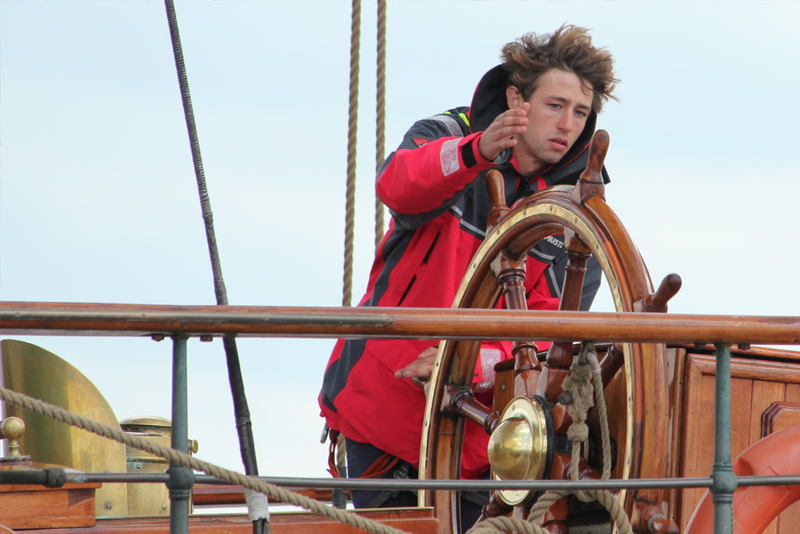 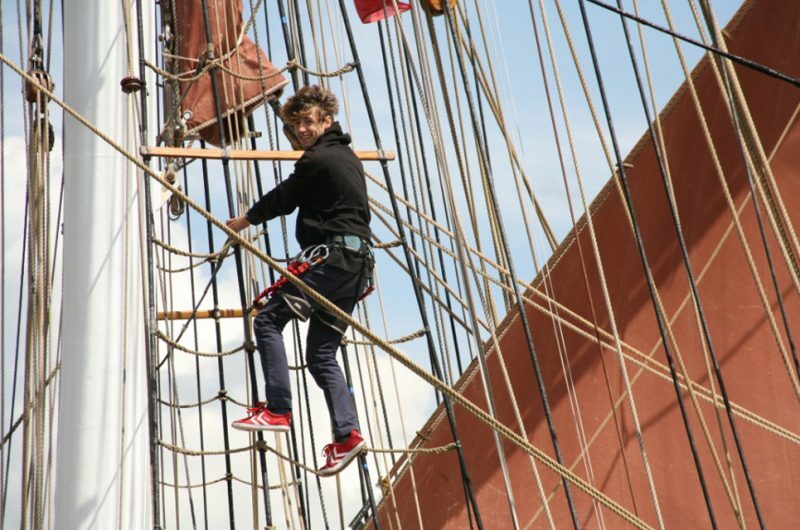 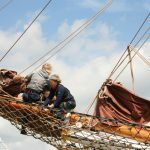 Boys and girls will get access to the principles of sail training and to the traditional way of seamanship. 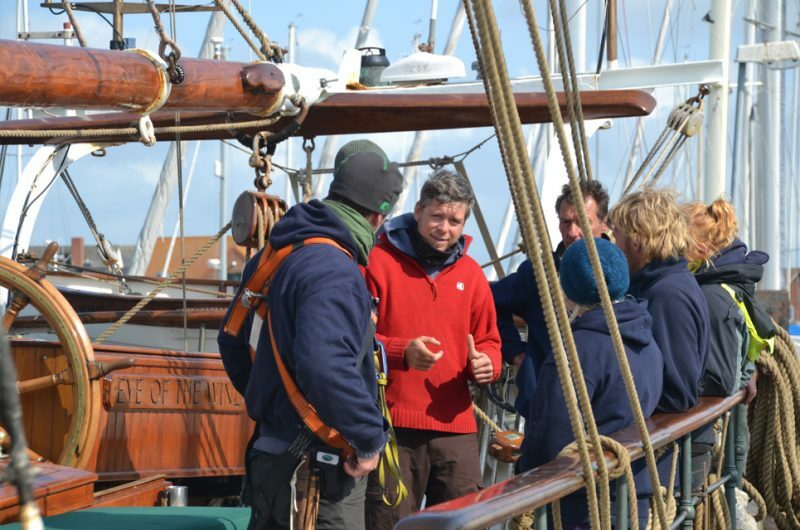 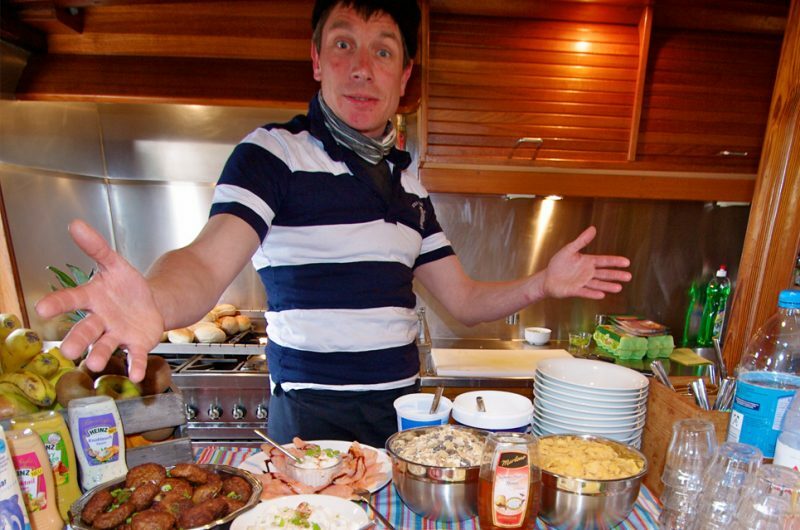 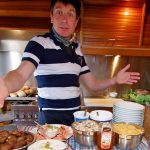 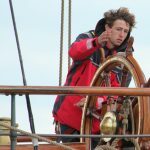 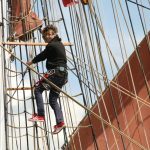 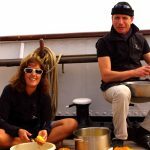 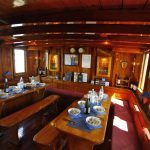 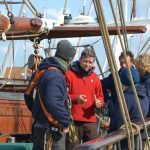 The programme includes: watch keeping, handling of lines, ropes, sails and fenders; rules and principles of navigation; manning of helm and lookout; catering and cooking; maintenance work; and endless fun.